From confronting addiction to quitting your job, there are myriad ways we all hit the brakes in life. But sometimes the toughest part can be knowing when to stop. This week, Piya asks: When is it time to say, 'I'm done'? ​Free speech on campus: Where should universities draw the line? 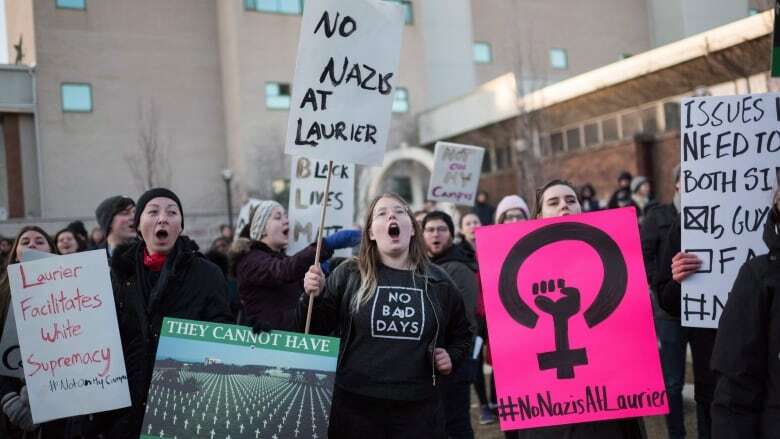 Wilfrid Laurier University professor Steve Wilcox believes campuses may once have been places for the free exchange of ideas, no matter how controversial. But now he says the internet is full of "controversial" opinions, and academic institutions should have a higher standard for who gets to say what on their premises. He speaks with Piya about the arguments he laid out in an open letter, opposing an on-campus talk by right-wing media personality Faith Goldy, and Goldy responds to Wilcox's belief that schools should be done listening to her. Can you ever be 'done' with an addiction? For several years, Leslie Jamison struggled with addiction to alcohol. She's sober today. But getting to that point was a complicated journey. In a conversation with Piya, illustrated with an intimate personal essay, she expresses her thoughts on the nuanced nature of "rock bottom" and how the truth about most addictions is that you have to say 'I'm done' multiple times. Growing up, Michael Slusher loved animals. When he decided to combine that affinity with his love of science, he thought it was the best of both worlds, but he didn't know that would lead him down a path he now regrets. He speaks with Piya about how he justified experimenting on and euthanizing animals as a vivisectionist, and what ultimately made him stop.